Today my mom celebrated her 70th birthday with family and close friends. 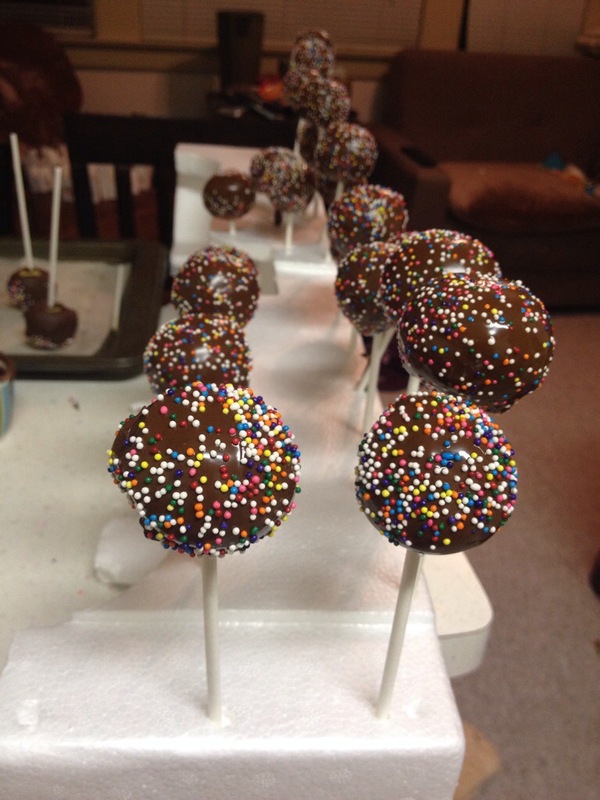 Last night, my niece and I decided to make festive cake pops as party favors. 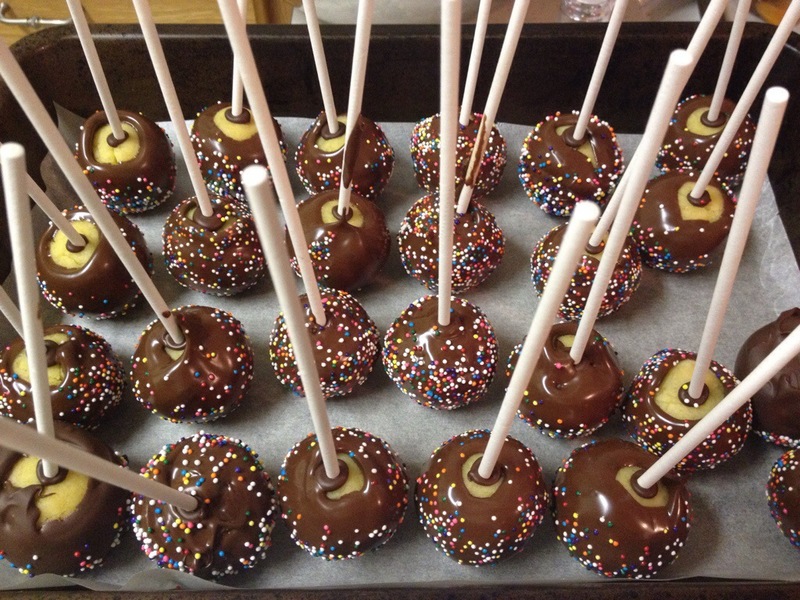 We bought all the ingredients and supplies to make a yellow cake pop covered with chocolate and candy sprinkles. Pour the cake mix, eggs, oil, and water in a large bowl and mix until smooth. Pour into a pan and bake in a 350 degree oven for about 30 minutes. When you can pull a toothpick or fork out of the cake and it comes out clean, your cake is ready. 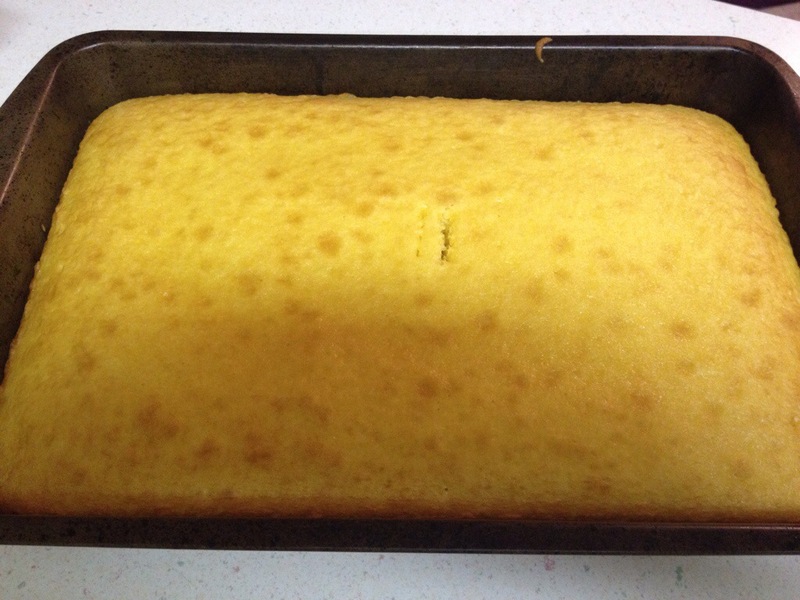 Let the cake cool completely. Remove the cake out of the pan and into a bowl. Use your hands and break the cake into crumbs. Add the frosting to the mix and blend. Divide the mixture into even proportions and roll into balls. We used about 1.5 tablespoons and made about 25 balls. 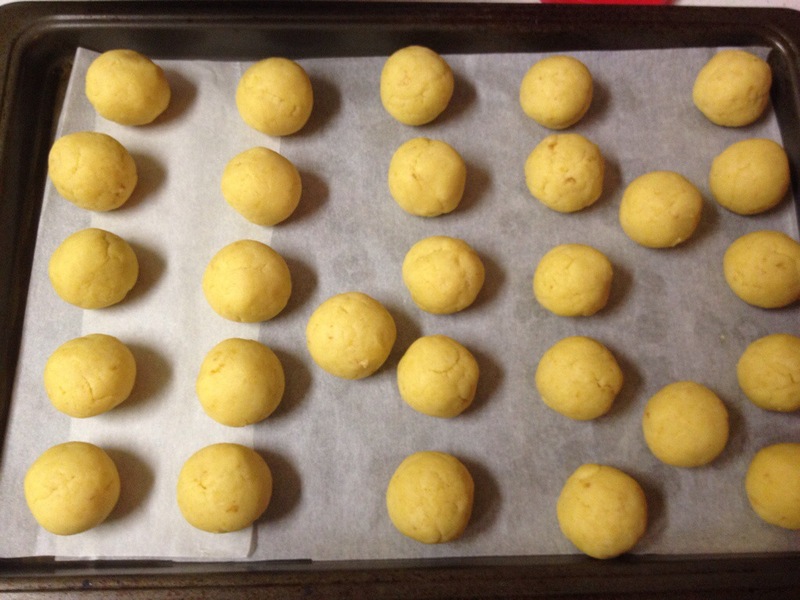 Place the balls onto a baking sheet lined with parchment paper and freeze for approximately 30 minutes. After the cake balls have set for 30 minutes, melt a small amount of chocolate chips (less than 1/4 cup) in the microwave oven. 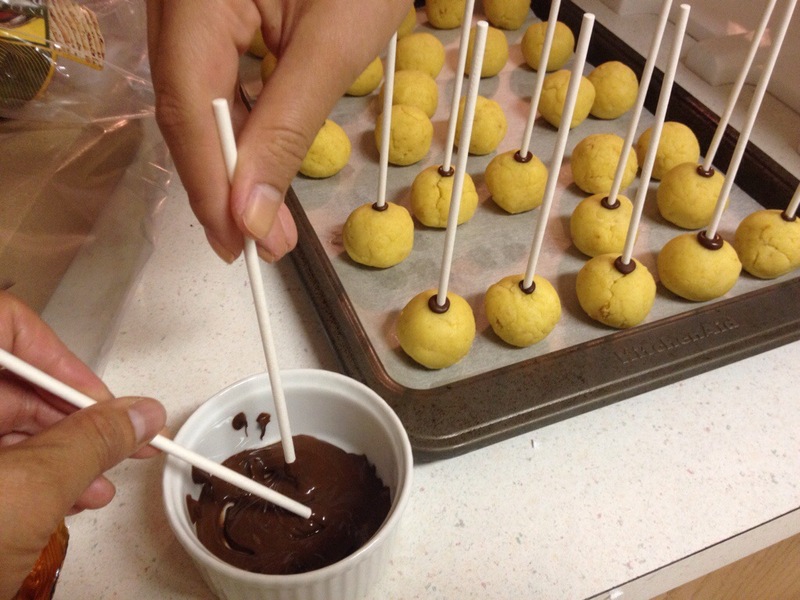 Dip the tip of a cake pop stick into a cake ball. Repeat and then put the baking sheet in the refrigerator for about an hour. After the sticks have set into the cake balls for an hour, melt the rest of your chocolate in a double broiler or a bowl over boiling water. When melted, add a tablespoon of vegetable shortening. This thins out the chocolate and makes your chocolate look shiny after it is set. 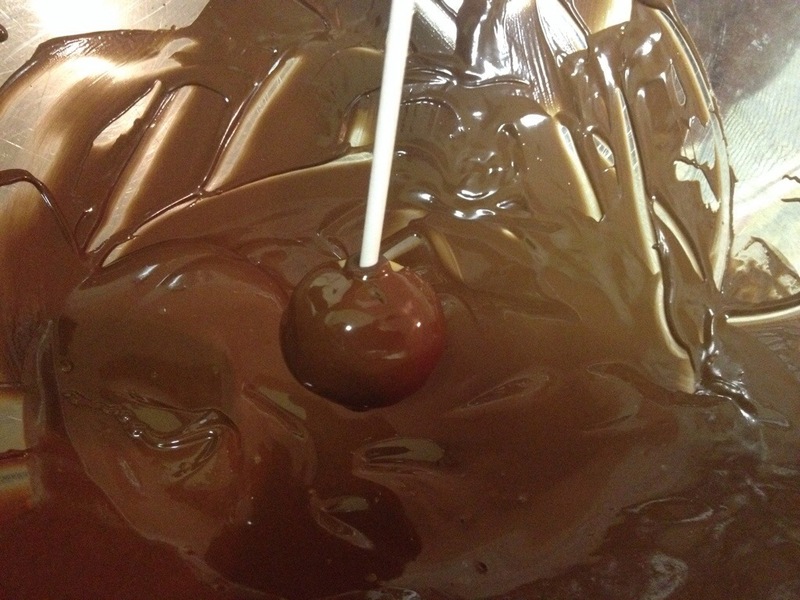 Evenly coat melted chocolate over a cake ball. Now add candy sprinkles over the chocolate. Place the bottom end of the stick into some styrofoam. You can buy this from a craft store, but I recycled some from a tv box. Repeat until done. Wait another hour and the chocolate should be completely dry and technically they are done. However, we placed them back on the lined baking sheet and back into the refrigerator. Having the chocolate a bit harder and chilled makes the cake pop taste much better. 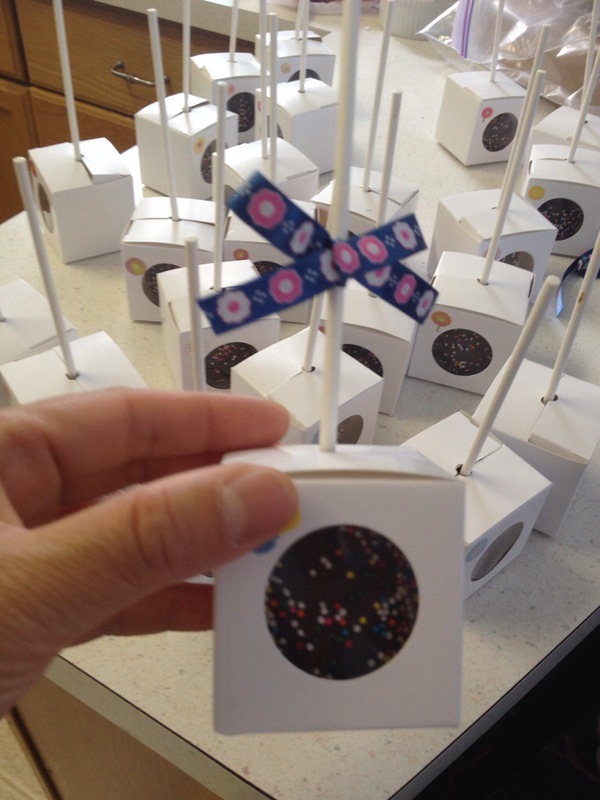 For my mom’s 70th birthday, we placed the cake pops into small boxes to make our favors. They came out very pretty and enjoyable.